Free Kick Off Party May 4th 9-11am! As the seasons change, the opportunity to practice outside becomes fewer. I will offer public hikes as they get booked and upon request, so please reach out. Thank you to everyone who made this magical experience more than I ever imagined, it has been a true blessing. Spring is not far away for more fun out and about. Hikes will resume for 2019 April 13th 2019! A truly transforming experience from beginning to end in a lush urban forest. Take your exploration and movement practice outside for this unique adventure of hiking, yoga, earth connection and fun. A wonderful way to see Portland, spend time with family, surprise someone with a unique gift or treat yourself to a solo adventure, while connecting with the beautiful nature of this magical city. There will be a guided hike to the top of the 200 acred park of Mt Tabor. From there we will make our way to a magical circle of evergreens for an all levels, 30-45 minute yoga practice. We will walk through the historic reservoirs, peek through trees at views of Mt. Hood, explore an urban volcanic cone and awe at the city sights from a far. There will be some special surprises from my heart to yours. We will meet at the SE Lincoln & SE 64th lower entrance of Mt. Tabor park. What is better than being outdoors any time of year in the pacific north west, breathing in the fresh air and connecting to nature? Doing it with a yoga practice to bring it all together, with your feet truly connecting to the earth. 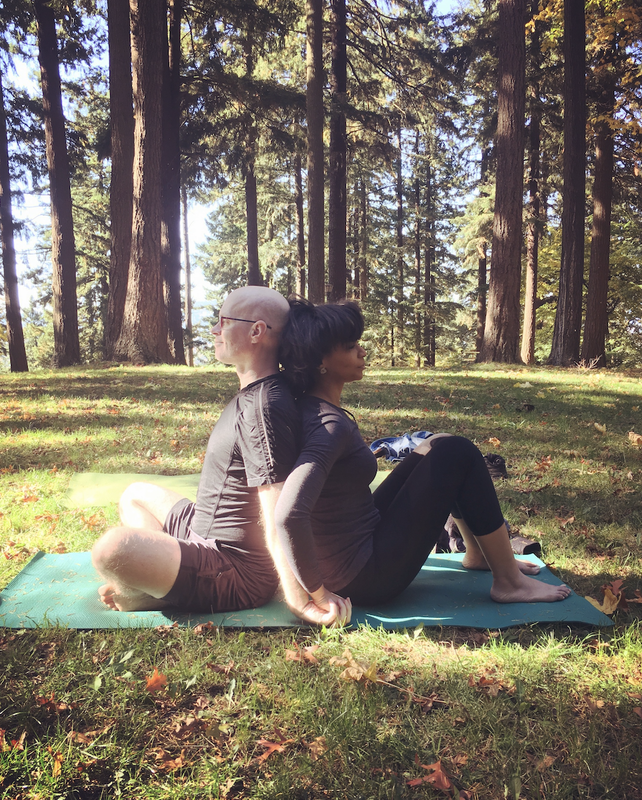 You can experience the abundance of energy you will gain from this combination of activities right here in our own back yard or become a local for a day during your visit in Portland. 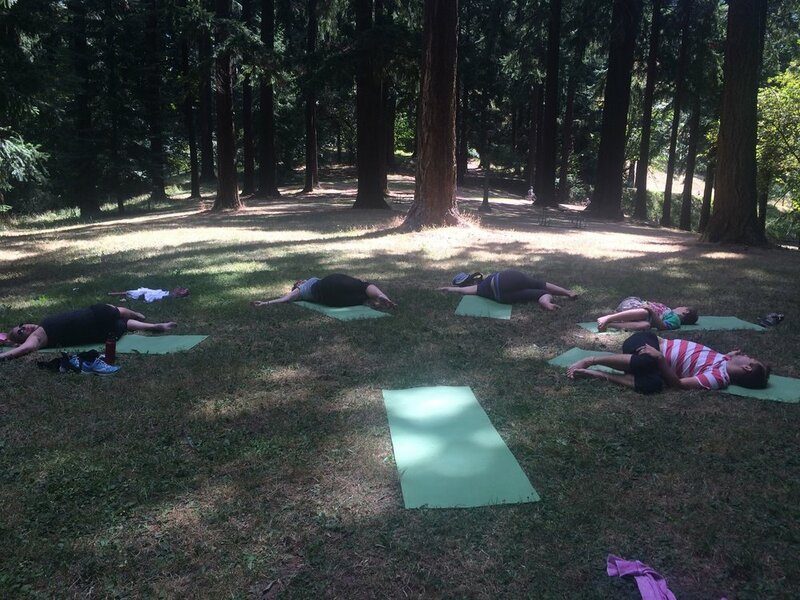 Join me at Mt Tabor for an all levels hike and yoga class with beautiful scenery and breath taking views. The trip will start with an inspiring intentions setting that makes this a tour with heart. There will be a couple of stops to rest and capture a few images with your minds eye or selfie with your phone. A total trip last around 2 hours. It's a great way to motivate, take your practice off your mat, outside of the classroom and share in a new experience.